Hanoi (VNA) - Vietnam's real estate market is expected to continue recovery this year after gaining good business results last year, with the market reaping benefits from favourable macro conditions, experts said. According to property service provider CB Richard Ellis (CBRE) Vietnam's report on Hanoi property market in the last quarter of 2015, the average consumer price index (CPI) grew 0.63 percent this year, which is the lowest level since 2001, and fell way below the annual average level of 5 percent recently. This low level of the inflation rate supported the growth of consumption and investment level in 2015. Similarly, the low mortgage rate also supported activities in the real estate market last year. Credit growth improved in 2015, recording 18 percent, significantly higher than the 12 percent to 14 percent average level in the 2012 to 2014 period, according to the State Bank of Vietnam. Although the interest rate in Vietnam has increased slightly after the United States Federal Reserve hiked its interest rate in late December, it is forecast that there will be no drastic change in interest rates in 2016, since most of the effect has already been factored in the interest rate's current value. This is good news for real estate investors as this real estate investment has been proved to yield better returns than other types of investments such as currency, gold, oil, or government bonds, in recent years. It is likely that more fluctuations will happen in these markets in 2016. Housing transactions in Hanoi last year hit a record 21,100, surpassing the sector's peak in 2009, according to CBRE Vietnam. High-end apartment transactions accounted for 32 percent of the total, up from 20 percent in previous years. A number of property investors have sped up delayed projects. Several apartment projects have been restructured in both size and price in accordance with market demands. The mid-range and low-cost apartment transaction rate was down compared to 2014, however, it still accounted for a large share of the total sales due to reasonable pricing. In 2015, about 28,300 apartments were put on the market in Hanoi, up 70 percent compared with the previous year. High-end apartments accounted for 28 percent of the total share compared to the peak of 21 percent in 2009. Average prices of new projects increased between 3 percent and 5 percent year-on-year (YoY), and between 5 percent and 7 percent for high-end projects, Nguyen Hoai An, vice director of CBRE Vietnam's Hanoi branch said. Last year also marked a firm recovery in HCM City's housing market with strong launches, positive sales volume and improved prices, particularly for mid- to high-end properties. More than 41,900 condominiums were launched in 78 projects, mostly in the east (47 percent) and south (27 percent) of the city, an increase of 122 percent YoY, according to a quarterly report of CBRE Vietnam on HCM City market. It was the highest ever in a single year, due to the introduction of Vinhomes Central Park in Binh Thanh District and Masteri Thao Dien in District 2, as the continued positive market momentum boosted the confidence of developers. Overall, market sentiments remained positive throughout the year as 2015 ended with record sales for a single year – an estimated 36,160 units and up 98 percent YoY. These included sales to individual buyers and en-bloc sales to institutional investors and property agents, in which sales to individual buyers were estimated at 33,348 units, up 83 percent. According to Savills Vietnam, in HCM City market, apartments saw the highest new supply and transaction volume in the quarter. Around 11,800 units were launched from 17 new and another seven existing projects, up 20 percent quarter on quarter (QoQ) and over 100 percent YoY. This was the largest new supply by a quarter over the last five years. Almost 7,700 units found buyers, up 47 percent QoQ and 86 percent YoY. Projects with good locations, investment opportunities, developed infrastructure and comprehensive urban planning attracted buyers' attention, Savills Vietnam said. 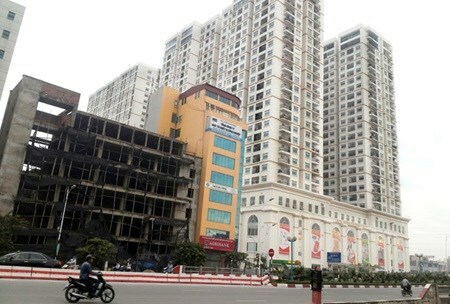 In the future, the new exchange rate mechanism that was applied from December 2015 would not make any remarkable impact on the Vietnamese real estate market, An said. The Vietnamese dong remains stable compared to other foreign currencies in the region, she explained, adding that Vietnamese still account for 90 percent of investors in the real estate sector, and domestic capital flows dominate the market. According to the CBRE experts from Singapore and Hong Kong, Vietnam's exchange rates remain stable and positive among other Southeast Asian countries. They attributed the attractiveness of Vietnam's property market to a growing population that has led to increased demand for housing. Meanwhile, with the revised Law on Housing and Law on Real Estate Business coming into effect from July 1, 2015, the market recorded a certain level of interest from foreigners in major high-profile projects by reputable developers in both Hanoi and HCM City, according to CBRE Vietnam. As the market is developing towards a more open and internationalised environment, while overall pricing is still attractive as compared to other matured markets, it is expected that more foreign buyers will look into Vietnam market as more guiding laws are issued to foster investment activity. Both homebuyers and developers need to prepare for a changing market with evolving laws and regulations: Compliance and transparency are important in managing these changes.